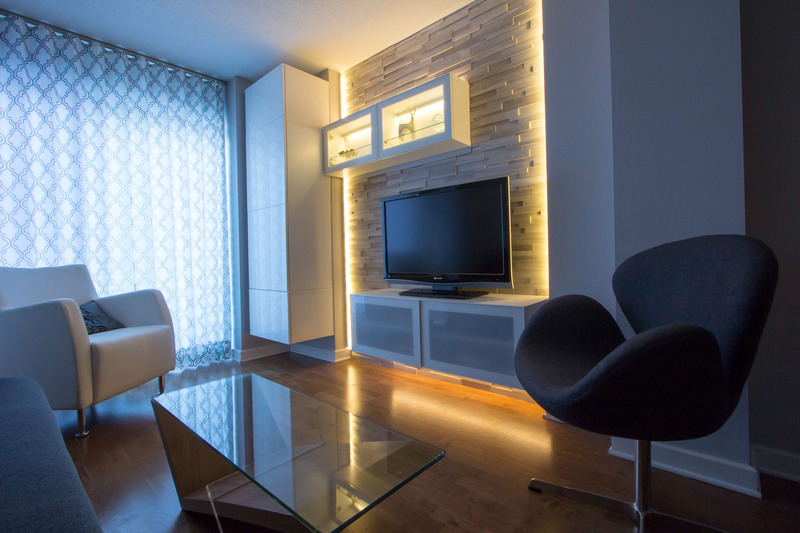 Contemporary urban condo living room media wall. 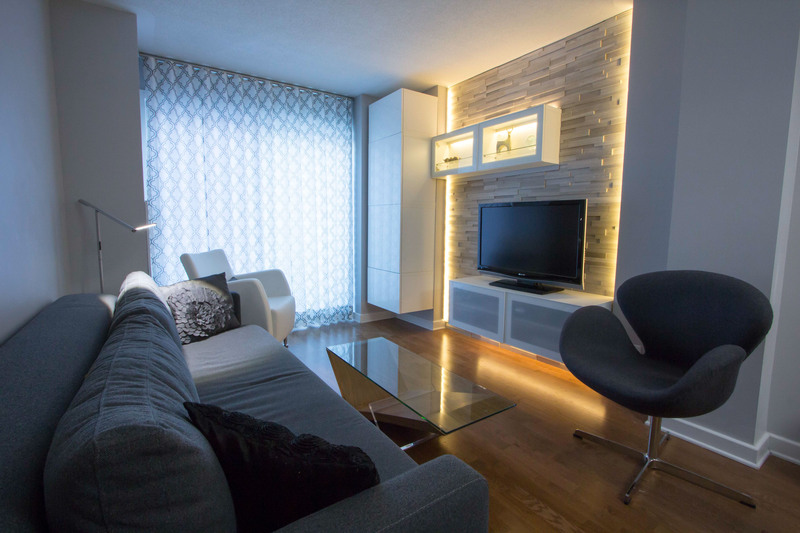 This contemporary living room in a small urban condo is swathed in monochromatic neutral greys. 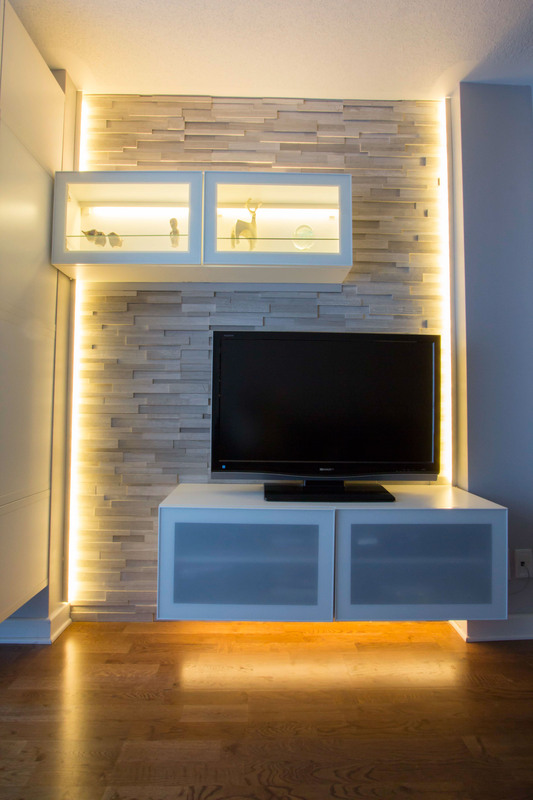 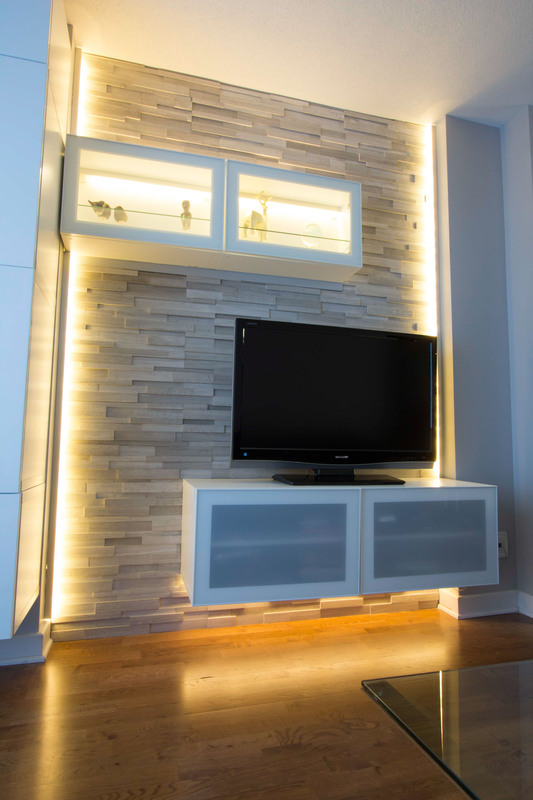 The media wall hides electronics and incorporates asymmetrical floating shelves, cultured stone and integrated led lighting.